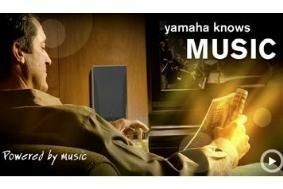 Steve Levine to speak at Yamaha 'Powered by Music' events | What Hi-Fi? The evenings will allow enthusiasts to hear about music production and multichannel sound from a Grammy award-winning producer, and also afford people a first look at Yamaha's YSP-2200 digital sound bar. The evenings will be held at Digital Link in Leicester on November 18th, and at PRC in Ilford on November 24th. Those attending will learn how the production process from studio to living room is managed, while also no doubt getting some insight in to how the music industry works. As an added bonus, attendees will get a first look at Yamaha's new YSP-2200 digital sound bar, the latest 5.1 bar to join the company's stable.